August is National Sandwich Month, making it an an apt time to celebrate all the piled-high comfort food our fair city has to offer. This is especially true of beefy sandwiches at Chicago’s best steakhouses. While most people dining at Chicago steakhouses focus on the steaks, chops, and lobster tails, these restaurants actually turn out some of the best sandwiches in town. Prime & Provisions: Right in line with their beautiful, extravagant dinner menu, the lunchtime fare at Prime & Provisions is equally extraordinary. Sandwiches form the crux of the lunch menu at this stylish Loop spot, featuring an array of elevated classics like a lobster club sandwich, a chicken sandwich with aged cheddar, oven-roasted tomatoes and garlic aioli, a prime rib dip with creamy horseradish and crispy onions, and a blackened fish sandwich with house tartare sauce. III Forks Prime Steakhouse: It's quality over quantity at III Forks Prime Steakhouse. While the restaurant doesn't offer a ton of sandwiches, what they do offer is great. On the bar bites menu, you'll find one of the better patty melts in the city, made with four-year Hooks Wisconsin cheddar, caramelized onions, and pork belly, making for a meat-on-meat masterpiece. Then there's the lobster roll on the rooftop menu, made with fresh Maine lobster on a brioche hot dog-style bun with mayo and celery salt. 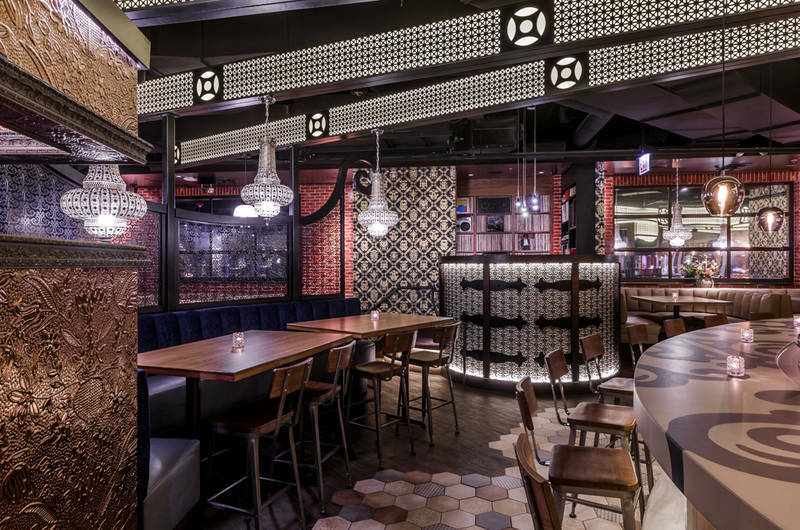 Harry Caray's Italian Steakhouse: During lunch, this River North mainstay serves up some of the best and meatiest sandwiches in the restaurant-packed neighborhood. Offerings include sliders like a filet trio with horseradish cream and togarashi-spiced seared tuna, while larger sandwich plates include a prime rib au jus and grilled corned beef with Swiss cheese and 1,000 Island. Morton’s The Steakhouse: American comfort food is king at Morton’s, where the bill of fare at lunch includes filet mignon tenderloin sandwiches, pulled pork sliders, grilled chicken breast sandwiches, and the ultimate in nostalgia: grilled cheese with roasted tomato bisque. RPM Steak: Ultra modern and ritzy by night, RPM Steak does a nice job of offering casual alternatives to their fanciful dinner menu via sandwiches at lunch. By layering flavors akin to traditional steakhouse dishes in sandwich form, RPM Steak makes some memorable and unabashedly lavish lunchtime dishes. These include a smoked prime rib dip, a New England lobster roll splashed with lemon butter, a dry-aged steak burger, and a massive RPM club heaped with house smoked turkey, bacon, avocado, fried egg, and spicy olive aioli. Benny's Chop House: Points for ingenuity go to Benny's Chop House, which thinks way outside the dry-aged box for their lunchtime sandwich selection. 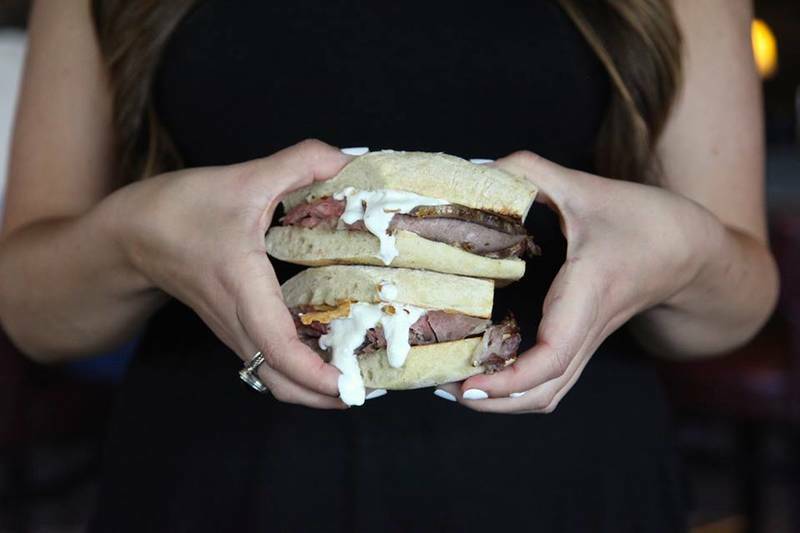 Uncommon for most steakhouses, Benny's offers an expansive selection of fish tacos, grilled grouper sandwiches, lobster grilled cheese, a NY strip sandwich with pesto aioli, and a grilled chicken sandwich with roasted bell pepper and paprika aioli. 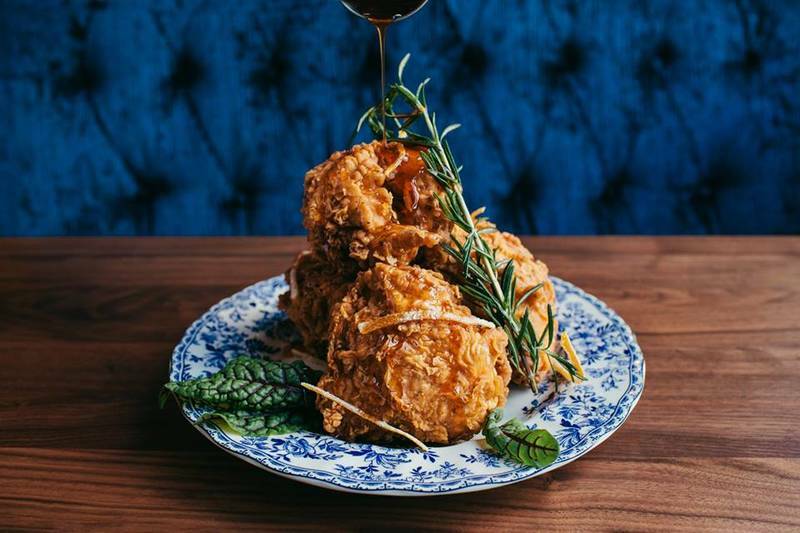 Tavern on Rush: This Gold Coast essential is a people-pleaser like no other, with something on their eclectic menu for everyone. There's tuna salad on multi-grain, a spicy Cajun chicken sandwich, a salmon BLT, and a fried egg club sandwich, which tastes delightfully like old-school American diner comfort food.